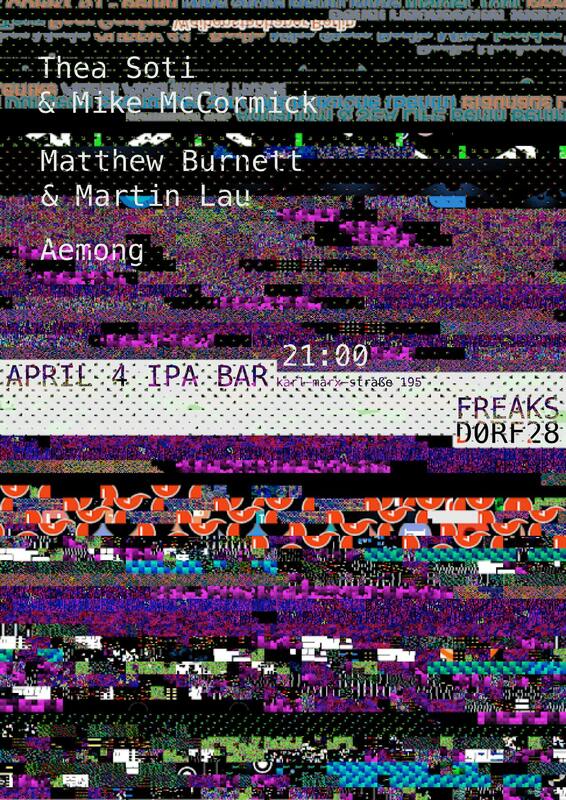 Freaksdorf 28: Noise rock, synth pop, industrial, no wave, poetry – that’s what you’re in for, if you go down to the IPA Bar in Neukölln this Tuesday the 3rd of April. Three bands are playing Aemog, Matthew Burnett & Martin Lau, Thea Soti & Mike McCormick. It’s going to be weird, but amazing. This entry was posted in Event, Hipster, Kultur, Music and tagged 2018, Culture, Kultur, live, music by U inn Berlin Hostel. Bookmark the permalink.